J. Cole and Wale Hit Toronto on "What Dreams May Come Tour"
After delivering Born Sinner and The Gifted, respectively, rappers J. Cole and Wale have drummed up a hefty dose of non-Yeezus-related hype. Now, the two performers have teamed up for a batch of tour dates. Billed as the "What Dreams May Come Tour," the run of dates will kick off in Miami on September 10 and conclude in Seattle on October 30. Sadly, the itinerary is short on Canadian dates, with the two rap champs only scheduling one stop in Toronto on October 8 at Massey Hall. Still, if you're obsessed with these two it might be worth booking a trip elsewhere to check out the shows. In a press release, Cole said, "It's going to be a wild ride. Do not miss this show." 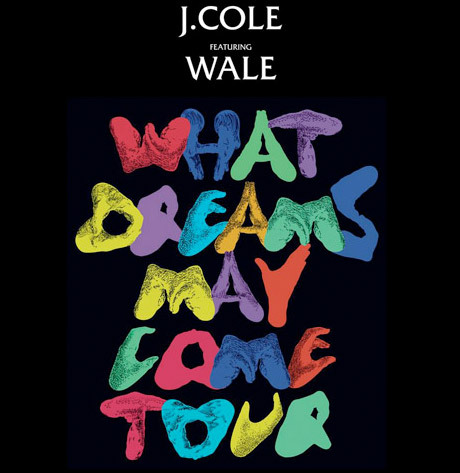 Check out all of J. Cole and Wale's joint tour dates below.